Have you tried to train your people on how to give better recognition and it didn’t work? Were you able to measure the transfer of learning back to the job? What was the business impact of the recognition education delivered? Have employees reported improved recognition? There are many reasons why educating and training managers and employees on recognition giving can fail. Authors and education experts, Tim Mooney and Robert O. Brinkerhoff, suggest bold actions for achieving business results in their book, Courageous Training. They provide a useful list of eleven possible causes for training failure. I will unpack each one of these causes and then discuss how it relates specifically to employee recognition training. I want you to overcome the typical problems associated with training people effective recognition skills. Employees did not sufficiently learn of master new knowledge or skills. This is where you need to have ample opportunity to demonstrate, model, and practice, new recognition behaviors or how to properly use online recognition programs. Build in time to follow up on implementing these recognition skills or use of programs upon their return to work. Ensure trainers have sub-objectives and supra-objectives to adjust the training down or up a level to deliver content for greatest success. Employees may be sent to or otherwise engage in training that is not needed for effective job performance. All employees can benefit from improved recognition skills training but it may not seem as meaningful to everyone. There is no doubt that supervisors, managers, and leaders, will have a greater need for improving performance results through better employee relations and by applying recognition skills. All employees can benefit from improved recognition skills training. Recently trained employees may not encounter opportunities to apply their skills or may not have time because of perceived or real pressures. Provide ways to transfer the learned skills on the job but be aware of job demands or situations that might delay actual completion of assignments. Have returning learners meet with their manager to set realistic goals and timetable for implementing what they have learned. Employees do not feel as if the training can be helpful to them or see any benefits to be gained from it. Answer the why me and why now questions in your learners’ minds before they commence any recognition education and training. Address the impact a lack of recognition currently has on engagement and performance results. You’re your learners where your company’s scores are at and then enlist their commitment to improving those results. Employees do not know what skills they lack or already have or otherwise inaccurately rate their own capabilities; thus they do not feel they need the training. At Rideau, Dr. Charles Scherbaum, an Organizational Psychologist, and I have developed the Recognition Skills Assessment® to do just that. This assessment tool helps managers learn what their strengths and weakness are across an array of essential recognition behavioral skills. It then helps prescribe the micro-learning content I have developed to help them improve these targeted recognition behaviors. Employees are not aware of the consequences of their performance and/or are not informed about how well (or poorly) they are doing. In our recognition programs, there is the ability to turn on an employee pulse survey presented to employees to gain their perception feedback on how well their supervisor or manager is doing at recognizing them. Using other recognition program data, along with the pulse survey, we can show managers that when they give recognition frequently and in a meaningful way, their business measures and human performance metrics improve. Employees perceive no actual benefit from applying the training. I am not a big advocate of rewarding people for taking training or applying skills learned in the workplace. They should know that when people feel valued and appreciated for their contributions, they are more engaged and perform better. This is where leadership skills and intrinsic motivation should be the motivator and not coercing people through rewards. Employees may try to change their behavior but cannot do it alone without coaching, mentoring, role models, etc. I agree with this 100 percent. 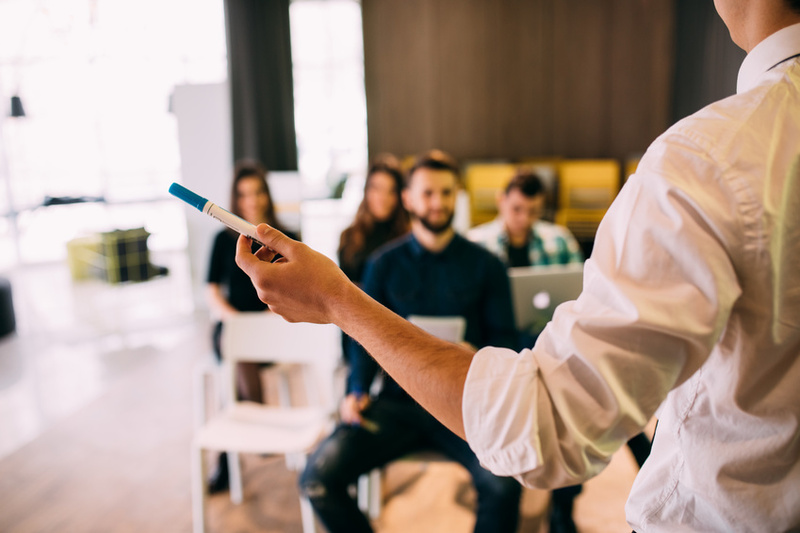 Having coaches available to assist managers and supervisors on how to give recognition after the training is a huge confidence booster for applying learned skills. Leaders and managers who are naturals at recognition giving should be enlisted to help mentor those who have completed your recognition training. Employees may not know they are expected to apply the learning or may not sense any accountability for doing so. You’ll be amazed how many times I have to give learners in my workshops permission to go back on the job and recognize employees. At the same time, organizational leaders should make the expectation very clear about the importance and value of recognizing employees. They should also be exemplary in their own recognition practices towards all staff members. Employees may be engaged in training at an inopportune time that does not align with the greatest need or opportunity to learn and apply it. If you’re talking about in-class training then timing can be everything. Work with leaders and managers to know what specific job demands could impact proceeding with a course or not. Even with online delivery of learning you can monitor participation levels for any indication of unexpected workplace constraints and build in a buffer of time. Everyone can master recognition skills it’s just the training method that may need to change. Employees may lack the capability (e.g. experience, language, reading ability) to learn and apply competencies needed for effective performance. Be sensitive to individual capabilities. Wherever possible provide different levels of training of recognition skills in a variety of formats to address accessibility and presentation needs of all learners. Everyone can master recognition it is just the delivery method that may need to change from your standard offering. Hopefully, you will be able to anticipate these causes of failure in your recognition training programs and develop exceptional recognition skills. Recognition Reflection: Where have you seen the biggest problem with achieving learning objectives with your recognition training?